By taking substantially equal periodic payments (SEPP) under Reg 72(t), an individual is able to take money out of an IRA prior to age 59.5 and not have to pay the 10% early distribution penalty (just your normal income taxes though). I’ve gone into pretty great detail explaining 72(t)/SEPP distributions here, so I will not rehash the full story in this article. In September of 2016, I elected to set up a 72(t)/SEPP at the age of 36, based on an attained age of 37 for that year. I elected to treat my first year as a stub year and prorate my distribution to 1/3 of my calculated amount (based on the amortization method). That means in 2016, I only had to take out $3609.68 compared to the full annual amount of $10,829.03. I did this because I had other funds to live off and taking the full amount would have caused me to have to actually pay taxes in 2016. Again, I have written about how I only paid $10 in taxes in 2016 here, so will not go over it again. But basically I have super low expenses, so I don’t need a whole lot of money to live, but don’t have a deprived life at all. In 2017, I went back to work, but would continue my plan with my 72(t)/SEPP distributions. The work was never meant to be a second career, just easy money for a short term, and I am counting down the days until I leave work for a second time. Breaking my 72(t)/SEPP plan would subject ALL distributions to the 10% penalty and interest. The difference in my 72(t) distribution for 2017 vs 2016, is that in 2017 I have to take the full amount. Going back to work has no affect on the SEPP distributions what so ever. For 2017 and going forward until I reach age 59.5 (roughly 21 years now) I have to take $10,829.03 per year. It really doesn’t matter how I take the money out (monthly, quarterly, annually) as long as I take the correct amount out, down to the penny, no more…no less. For a very detailed post on my actual withdrawal strategy for early retirement read this and this. I actually took the last distribution on 12/5, that way my OCD kicks in and I can check 20 times to make sure I’ve taken out the proper amount. I have often mentioned in my writings that my 72(t) strategy was conservative. It was set up to take out just the dividends from the portfolio. Given that I have a bias to dividend growth investing, over time the dividends will be substantially more than what the portfolio paid in 2016. So now, I would like to take a look at how the portfolio is holding up after year two of early penalty free distributions. In 2016, my balance on this particular account at the time I calculated the distribution stood at $345,415.12. The dividends were approximately $10,900 on this portfolio. That means, not counting dividend increases or special dividends occurring in 2017, my 2017 SEPP would be satisfied by just the dividends and I would not have to sell any holdings. Remember in 2016, I only took out $3609.68 in SEPP distributions. In 2017, I took out the full $10,829.03 to satisfy my SEPP. As of 12/15/17, the balance in this portfolio sits at $391,946.65. S0, the value in this account has grown 13.47% after taking out distributions totaling for the 2 years of $14,438.71. Had I never set up the 72(t), the value of the account would actually stand at $406,385.36 for a return of 17.65%. How are my plans working so far? Everything is going exactly as planned. In 2018, this portfolio will kick out dividends of $11,575.49 and I will also receive an additional $354.25 in special dividends from CME, bringing total dividends for this portfolio to $11,929.74 in 2018, at a minimum (The reality is that many of my holdings in this account will announce dividend increases at some point in the year, so $11,929.74 is just a starting point, I wouldn’t be surprised to see around $12,500). That is $1100.71 more than I have to take out to satisfy my 72(t) plan. Which means I will be able to start reinvesting that excess back into the account, which also means that will generate additional future dividends in the account. The other interesting thing to look at is the withdrawal rate. Based on my amount needed to be withdrawn ($10,829.03) and the current value of the account ($391,946.65), my withdrawal rate sits at a paltry 2.76% from this portfolio, and again I’m only taking out dividends. So yeah, the plan is happening exactly as expected and I still insist it is a highly conservative strategy, despite “experts” saying someone should not set this up at my age. One thing that I will do differently in 2018 is complete my total SEPP by the end of November. One month to just quadruple check my work and plan for 2019. As mentioned in one of the links, the plan is still to have my 72(t)/SEPP changed over to the one time allowable required minimum distribution method in approximately 2027/2028. I believe the account could be close to double the value I initially set up the distributions on in 2016. So, by 2027-2028 I am projecting this account to be in the neighborhood of $700,000 and dividends of approximately $20,000. Switching to the RMD method at that time and going forward will allow me to received an even greater amount from the account, but should still just pull approximately just the dividends in the account. There you have it folks, a wrap up and review of my 72(t)/SEPP distributions after year 2. 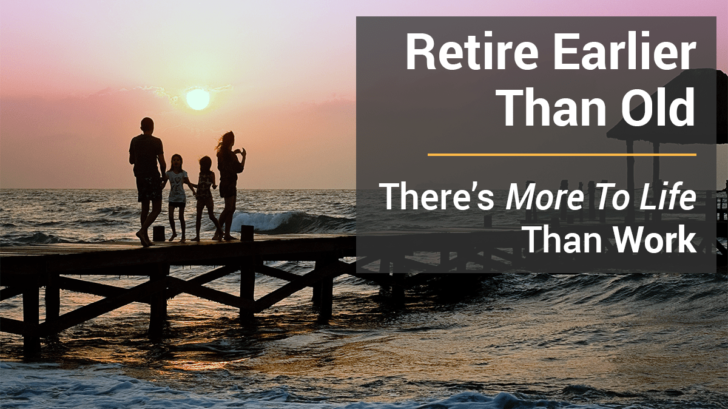 What is your plan for income in early retirement? This is glorious to see. Thank you for bothering to write when you really don’t have to. It’s nice to get to learn from you. Thanks ZJ. It’s something I actually really enjoy, especially these more oddball subjects. I feel like I should send you one of my new shirts from the site when I finish the design for being such a loyal reader. Love it! I am in the process of setting one up in the next 30-60 days. Did you use a tax advisor to determine your withdrawal amount? Thanks for checking out the site. Use the search bar and type in 72(t) or SEPP and you will find a bunch of other articles on the topic. I’m actually a former Registered Investment Advisor/Financial Advisor and this was one of my specialty areas of interest, so I ran the calc myself. You will actually find not many tax advisors, CPAs, CFPs, or advisors (and even IRS agents) are well versed on the topic or even know what 72(t) distributions are. Keep good records of everything in the case of an audit. There are calculators you can find online, but if you need assistance, I do offer a flat fee for service option on the “Service” tab of my site. Hi Royce. Thanks for checking out the site. Use the search bar and type in 72(t) or SEPP and you will find several more articles about it on the site. In early January, I will have an update on complete year 3. Spoiler alert, the dividends have continued to grow and are around $1500 more than the annual amount I have to withdraw, and I am already starting to reinvest dividends (creating additional future dividends in this account). I’ve also seen decent appreciation in the value of the account. Thanks for stopping by. Let me know if there are any questions. Where do you have your account? I’ve read no one will write a 2 in box 7 of the 1099. And that causes lots of issues. I thought you had to take either monthly or yearly amounts (that would make them equal) but I see you can take as many as you want, when do you calculate your account balance if you do the RMD? I see you did amortization so when did you estiamte your balance? THe day of your first withdrawal? Do you just keep a print out of your balance on that date? I use Ameritrade. When you do the distribution, it gives you the option for early distribution with exception periodic payments, this gives the code 2 in box 7 of the 1099. This makes it nice, because there is one less form required to file with your taxes. But yes, I think a lot of brokerage houses do not use code 2. You can do either monthly or annual, just as long as you pull the correct amount out that has been calculated, the payment itself can differ each month, but the annual amount needs to be correct down to the penny. Search 72(t) and you will find my 3rd year. I completed my 72(t) by November in 2018. The balance should be something you can document and within a reasonable time frame of starting the 72(t). I used the ending balance from an August statement when I set it up in September. Keep a copy of the statement so you can prove the balance in case of an audit. I would also keep documentation of the calculation as well in case of an audit. Let me know if you need a referral to Ameritrade, I think we both get freebies. Cheers.